The wait between Robert Caro's third book on Lyndon Johnson (Master of the Senate) published in 2002 and the fourth volume (The Passage of Power) that appeared in May was too long. However, I will forgive Caro the inconvenience of the delay if he promises to finish his fifth and last volume quickly. It should be a doozy. Unlike the first three volumes of Caro's biography, in which Johnson's negative personal behavior seemed to overwhelm, or at least greatly detract from, his considerable accomplishments, in the fourth volume Johnson's pitch-perfect performance following the tragedy of the Kennedy assassination dominates the story. For a few months, Johnson showed all of his best qualities and assisted the nation through a difficult time. During this period, his public approval ratings reached 80 percent. He achieved the pinnacle of his career and life. Though much of the book covers the post-assassination period, it also tells the story of Johnson's initially hesitant quest for the Democratic Party's presidential nomination in 1960, when he delayed launching a campaign and underestimated John Kennedy's political abilities. The book then describes the circumstances of his acceptance of the nomination to join the Kennedy ticket as vice president, and it documents in some detail his painful experience as vice president. In those years before the assassination, from the late 1950's to November 1963, the noble elements of Johnson's character often battled unsuccessfully with his negative attributes. In those situations, Johnson's behavior could range from distasteful to criminal to immoral. It is the clash between the positive and negative attributes of this complex man that makes his biography absorbing and, at times, shocking and puzzling. 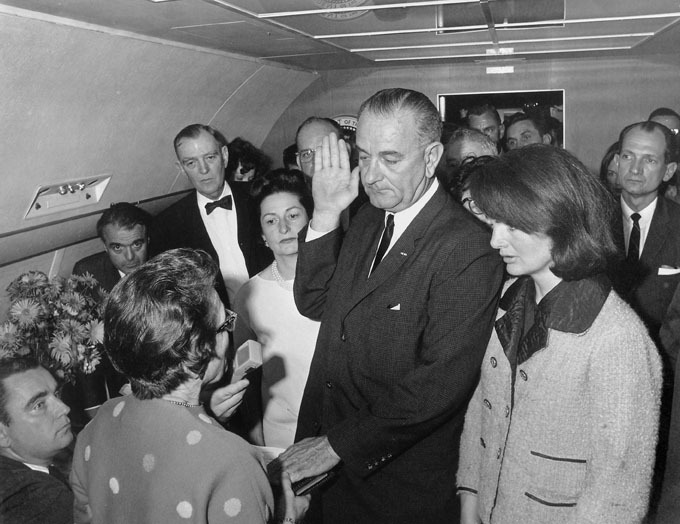 The Passage of Power ends with the enactment of the 1964 Civil Rights Act and Johnson's call for a War on Poverty. The next volume will cover the 1964 presidential campaign and his full term in office starting in 1965. 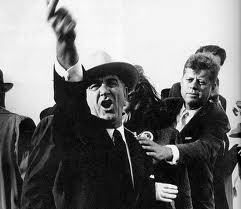 It is likely to be a brutal one for LBJ's reputation and a page turner for those of us who lived through it.